Has Henry Threadgill stumbled upon the perfect band for his creative impulses? And would we be pleased with an honest answer to that question? "I never change [groups] for any marketing reason or novelty reason." The above quotation from Henry Threadgill is so funny because, when have any of this guy's groups ever been marketable? Sure, this favorite son of the AACM did enjoy a brief contract on Columbia Records in the '90s, a time when major labels were taking some noticable risks with their jazz rosters. Even then, the man's music was as uncompromising in its sound and structure as it was at the start of his long career. He didn't push away commerciality because he seemed to never think of it in the first place. Through the years, Threadgill's fans have watched him leapfrog from one group to the next. Air, the Henry Threadgill Sextett, Very Very Circus, Make a Move and Zooid. Threadgill would sometimes keep two of these groups going simultaneously, taking the time to compose for their respective formats and given the timelines of all these groups, his extended time with the Zooid ensemble just might prove that this is where Threadgill is most comfortable at the moment. It took a while to get the ball rolling between 2001's Up Popped the Two Lips and 2009's This Takes Us To Volume 1 (with a very under-the-radar vinyl release in 2005, Pop Start the Tape, Stop), but Zooid appears to be in a heavy groove now. With guitarist Liberty Ellman producing the sessions and keeping the lineup of Jose Davila on trombone and tuba, Christopher Hoffman on cello, Stomu Takeishi on bass and Elliot Humberto Kavee on drums, Threadgill has found a productive working environment for himself at the age of 68. Does that mean the music has turned onto easy street? Hell no. Coming off the heels of This Brings Us To Volume 2, Tomorrow Sunny/The Revlery, Spp is the sound of Zooid branching out and out some more. They're becoming more somber and melodic, more edgy and chaotic, softer and louder, seemingly all at once. If Zooid have already come into their own, then they are sprawling into someone else's own now. Henry Threadgill's time-tested compositional manner of throwing out the traditional jazz chart has left room for this band to make great strides. As Threadgill, Ellman, Davilla, Hoffman, Takeishi and Kavee have all learned to improvise together without soloing, they somehow unlocked a door to jazz's future. On the surface, the last three Zooid albums all sound similar. To anyone other than a Henry Threadgill fan, they all sound like a bunch of notes. But any music worth its weight in salt demands closer listening before you make a final call, and Tomorrow Sunny/The Revelry, Spp gives such a lucid look at all that swims below the surface that you may find yourself not bothering to bring your head up to listen to the Zooid of two years ago. So what is it about the Zooid of 2012 that makes it all so tight? My theory is Elliot Humberto Kavee. He can take the opening bars of "Tomorrow Sunny", with its ductile shape and equally baffling instrumental lines, and corral it all into this steady and irresistible beat that carries the band but doesn't drive it. The rest of Zooid are no slouches either. Ellman keeps getting pushed (or perhaps he pushes himself) beyond the predictable and accepted possibilities of jazz guitar. Davila and Takeishi share the low end, so it's a little remarkable that they don't get into each other's way. Hoffman has to provide space on the disturbingly quiet back-to-backs of "So Pleased, No Clue" and "See the Blackbird Now"; something a jazz cellist probably revels in. If Threadgill's improvisational skills have undergone any changes, they are subtle ones. Whether he plays the flute or the alto sax, he keeps hoping those scales like it's in his blood. The bass flute makes a unique appearance in "See the Blackbird Now". Threadgill plays many notes, but not too fast. I'm reminded of Snoopy/World War I flying ace crawling through the enemy lines in It's the Great Pumpkin, Charlie Brown. 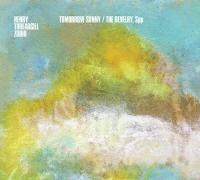 It's tempting to oversell the art of Henry Threadgill. The man has a style, and it's as tough to pin it down with words as it is to openly appreciate it. And there is no disguising that style. Like Wes Anderson or Woody Allen, that style is coming through, love it or loathe it. Jazz's avant-garde side frequently, sometimes justifiably, gets linked to free jazz. And when a group of intellectuals get together for some artsy skronking, many a timid listener would take it as an invitation to go away. But it you are willing to take yourself around to jazz music's back door, you'll find that Threadgill and Zooid have set a table for you. Sure, the food looks and smells different, but it still tastes good. In fact, it may just be the best meal you'll ever have. To anyone who dislikes free jazz, this is the sign of a bright future. Tomorrow, sunny.